Starting February 1, 2012 there will be new rules and regulations for cruise routes and frequencies to and around the Galapagos Islands in Ecuador. 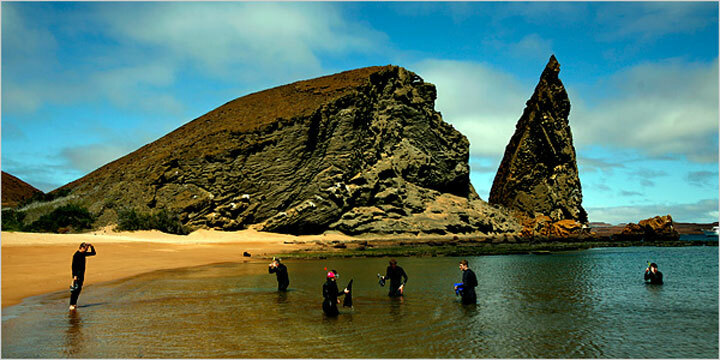 Tour operators have until February 2012 to incorporate the Galapagos National Park Authority’s new regulations, which are designed to protect the local animal and plant life, into their travel programs. The new Galapagos National Park regulations will allow guests of the on-site tour operators to stay a maximum of four nights and five days per ship, with a frequency of four landings within any 14-day period. For the past 14 years, the archipelago’s 150,000 annual visitors have been mainly concentrated on the three islands of Isabela, Santa Cruz and San Cristobal. The visitor redistribution that will be achieved by the opening up other islands, and altering route frequencies, will also reduce fuel consumption and the overall amount of pollution emitted by the yachts, boats and ships working the islands. With the new system, the ports on Santa Fe and Tagus Cove will again be accessible. The islands of Española, Genovesa and Fernandina will also now permit the arrival of smaller boats, allowing visitors to see rare species like the red-footed booby, the albatross, the flightless cormorant and various mimids. The new regulations and the protection of nature go hand in hand with the concept of “conscious tourism,” an idea developed by Ecuador. The concept includes previous strategies such as sustainable and ethical tourism, and adds to them the personal experience of friendship, respect, and the love that leads to inner growth. With “conscious tourism” Ecuador is asking every visitor to experience the country in keeping with its nature and its people. Underscoring the positive aspects of the relationship between host and tourist, while improving the lives of Ecuadorians through tourism experiences with their own cultural and natural heritage.